DomeLift® is a traverse system for rooflight domes. 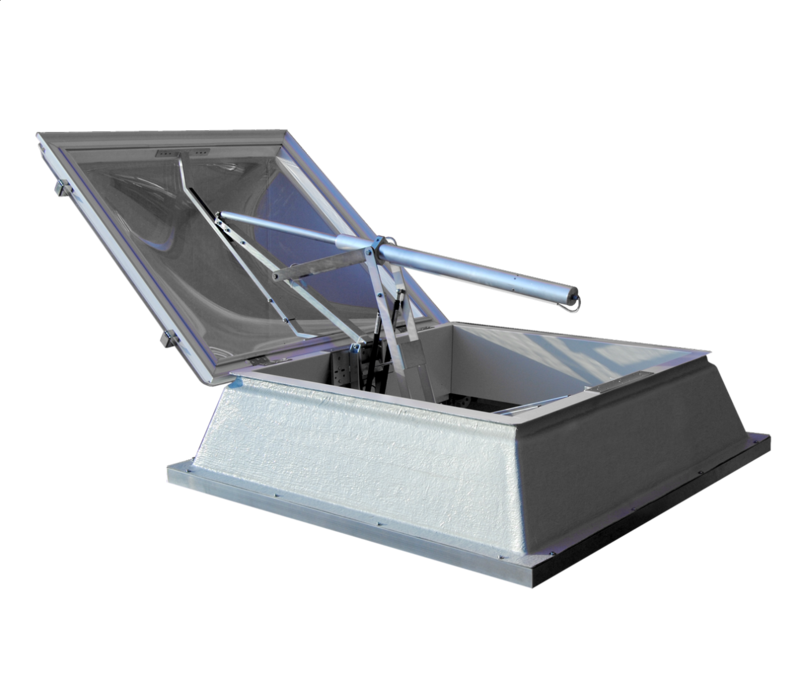 It can be configured to used on rooflight domes with nominal values of 120 cm, 140 cm and 150 cm with a variable diameter. The system is used with a 24 V linear actuator and can be stopped at all opening angles for daily ventilation. Even with snow loads up to 500 N/m² and with large dome dimensions a safe opening is guaranteed. Additional ribbons on the rooflight dome are not necessary due the opening mechanism. A locking unit is also not necessary. DomeLift® can be installed in almost all standard upstands. This allows the system to be used versatile.